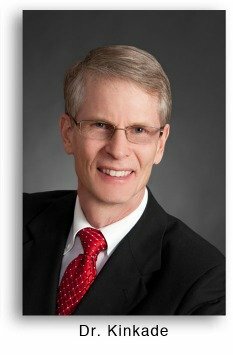 Dr. Randolph Kinkade, OD, MPH shares with us how spectacle mounted glasses for macular degeneration can provide hands free magnification for near and far activities. In this e-interview he shares with us who would benefit from these glasses, how much they cost and if they are covered by insurance. 1. Tell us about yourself, your credentials, and your practice. 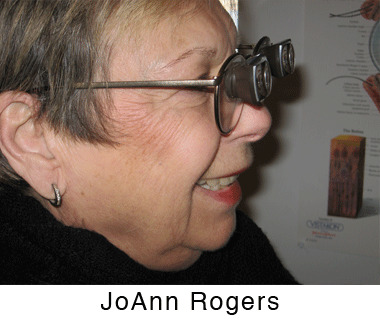 I have been practicing in the specialty of low vision rehabilitation in Connecticut for 30 years. I have an interest and expertise in optics and helping patients when they have been told “sorry there is nothing more I can do for you”. I have a Master of Public Health degree where I concentrated on improving access to low vision care. I am also a founding member of the International Academy of Low Vision Specialists. 2. What are spectacle miniature telescopes (SMT) and how are they different from stand prescription eye glasses? Traditional glasses have only one lens and are designed to focus images onto the retina without magnifying. SMTs use multiple lenses separated by a small air space giving high magnification like looking through a pair of binoculars. 3. What activities are SMTs used for? 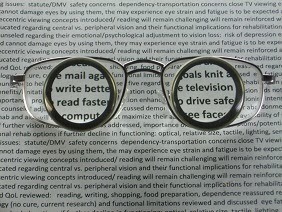 How do they work for near vision, like reading, and how do they work for distance vision, like watching TV? For reading the system can be designed for one eye or both eyes depending the level of vision. For television we often use full-diameter telescopes for a larger field of view. For driving bioptics are designed with the telescope mounted high in the lens. 4. What are the benefits of SMTs compared to other magnifying eyeglasses? Hands free viewing, extended reading distance compared to traditional high power glass, binocularity capability if relatively equal acuity in each eye. 5. Who is a candidate for spectacle miniature telescopes? Anyone who reads better with a magnifying glass, sees better looking through a pair of binoculars, or has to move closer to the television in order to see it. 6. What is the approximate costs of these low vision glasses and does insurance or Medicare pay for them? The cost of the glasses is that of a good hearing aid. SMTs that incorporate a person’s prescription start around $1,900 and can run up over several thousand dollars depending the power required, the frame design and lens material. Medicare and most insurances do not pay for these glasses. 7. If a person was interested in finding out if they could benefit from SMT's what is their next step? There is plenty of good information and educational videos on my website, www.LowVisionEyeglasses.com. 8. 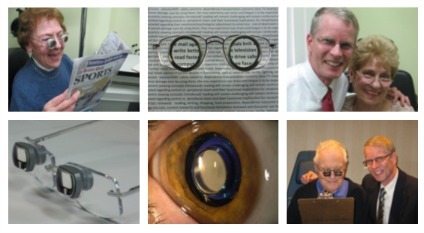 You have written a free Guide for Macular Degeneration Eyeglasses. Provide us with a brief synopsis of the guide and the link to read or download it. Most patients and the majority of eye doctors do not understand the many options available to help people with low vision. The book talks about how macular degeneration interferes with vision and the best options for treating it from a rehabilitation perspective. Optical and electronic magnification is discussed. Tinted glasses and lighting is also discussed. The book has numerous patient photos and the electronic version has live links to videos.